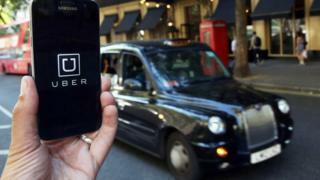 Uber's appeal to renew its licence in London could take years, the mayor of London has said. Sadiq Khan said the appeal process against a decision by Transport for London (TfL) to strip the taxi app of its operating licence could "go on for a number of years". TfL deemed Uber unfit to run a taxi service and refused to renew its licence in September. Uber previously said it was "determined to make things right". When asked about how long the appeals process could last at a monthly question session, Mr Khan said: "My understanding is that it could go on for a number of years." Some 3.5m passengers and 40,000 drivers use the Uber app in London. Uber's licence expired in October but its drivers can continue to operate in the capital while it pursues an appeal. A spokesman for the company said: "Uber continues to have constructive discussions with TfL in order to try to reach a resolution, even though we have filed our appeal." Now what next for Uberisation?